The Newcastle ECMC brings together translational scientists and clinical researchers to carry out early phase clinical trials of potential new cancer drugs, building on an established reputation in drug discovery and development and underpinning expansion in these areas and also in cancer imaging research and biobanking. The vision of the ECMC is develop new cancer treatments that work in a more targeted way. Their aim in achieving this is to include biomarkers early in the drug development pathway, so that the right patients are treated with the right drugs and side effects are avoided in patients who are unlikely to respond. The Centre has PET and MRI imaging facilities and pharmacology and pharmacodynamic assessment laboratories. The Newcastle ECMC is also a paediatric centre. Ruth Plummer is Professor of Experimental Cancer Medicine at the Northern Institute for Cancer Research, Newcastle University and an honorary consultant medical oncologist in Newcastle Hospitals Foundation Trust. She is Director of the Sir Bobby Robson Cancer Trials Research Centre within the Northern Centre for Cancer Care which is a dedicated clinical trials unit based within the regional cancer centre. She leads the Newcastle Experimental Cancer Medicine Centre and also the CRUK Newcastle Cancer Centre. Her research interests are in the field of DNA repair and early phase clinical trials of novel agents or novel imaging targets, taking the first in class PARP inhibitor into the clinic in 2003, ATR inhibitor in 2012 and MCT1 inhibitor in 2014. She chairs the New Agents Committee. The Newcastle ECMC is focussed on the delivery of early phase trials, with associated pharmacokinetic, pharmacodynamic and imaging biomarkers to ensure the right drugs are given to the right patients. Ruth leads the team of senior research nurses and trial coordinators which deliver the clinical trials, with ECMC resource also supporting pharmacokinetic analysis in a GCLP laboratory, and biobanking sample collection as well as novel imaging research. Josef Vormoor is James Spence Professor of Child Health and Director of the Northern Institute for Cancer Research, Newcastle University and an honorary consultant paediatric oncologist at the Great North Children’s Hospital, the Newcastle upon Tyne Hospitals NHS Foundation Trust. His research interests are on understanding the mechanisms how leukaemic cells regulate their malignant growth and survival with the ultimate goal to identify potential novel therapeutic targets. His clinical research focus is on pre-clinical drug development and early phase clinical trials for children and young people with leukaemia and lymphoma. Our paediatric team is both part of the Newcastle ECMC with a specific focus to run early phase clinical trials for adolescents and young adults (AYA) across both sites; and part of the national paediatric ECMC network. Many of our early phase trials for children and young people are run across Europe within the Innovative Therapies for Children with Cancer (ITCC) network and Josef is the ITCC centre lead for Newcastle. He also leads the national Childhood Solid Cancers GECIP domain (100,000 genomes project) that will help to introduce advanced genome sequencing into clinical practice. The Paediatric team is both part of the Newcastle ECMC with a specific focus to run early phase clinical trials for adolescents and young adults (AYA) across both sites; and part of the national paediatric ECMC Network. It is also an accredited early phase clinical trials centre of the European network Innovative Therapies for Children with Cancer (ITCC). To further facilitate our ability to offer novel therapies to children and young people in the North we have recently founded an early phase clinical trials network with Glasgow, Edinburgh, Aberdeen and Belfast, the Phase I Northern ChiLDrEn’s Cancer Network (INCLuDE). 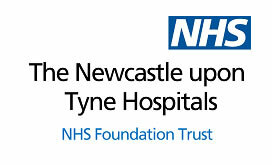 Facilities to accommodate families who need to travel to Newcastle are available. The Newcastle Cancer Centre hosts one of the largest translational research programmes in paediatric oncology (both leukaemia and solid tumours) in Europe. Our researchers have developed strong links with the CR-UK funded Newcastle Drug Discovery Programme and the Sir Bobby Robson Cancer Trials Research Centre to create new therapies against targets and develop trials in paediatric malignancies. The CR-UK funded paediatric tumour biobank is also housed in Newcastle. The Newcastle Paediatric Centre is linked with Birmingham's Cancer Research UK Clinical Trials Unit. 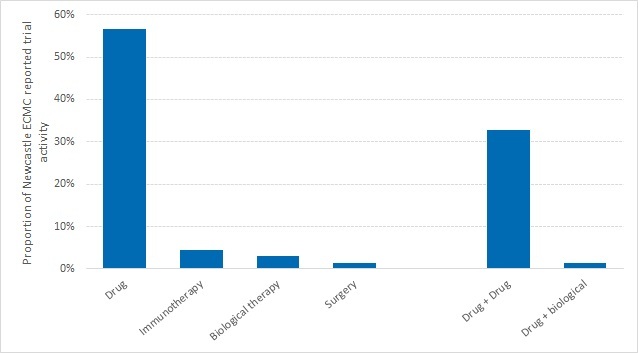 Phase I study with the first-in-class PARP inhibitor, AG014699 (Newcastle, Oxford, Glasgow and Belfast ECMCs) progressed to phase II in melanoma (Birmingham and Manchester ECMCs also participating) and phase II as single agent in BRCA-related breast and ovarian cancer. These studies were all led by Newcastle ECMC. This agent (now known as rucaparib) entered phase III investigation late in 2013 in high grade serous ovarian cancer and also a translational phase II study in the same indication, where Glasgow ECMC is lead European site and multiple ECMC centres are participating. Rucaparib was given Breakthrough Designation by the FDA on 6th April 2015 with the translational data an oral presentation at ASCO 2015 (Glasgow ECMC lead) with clinical data showing activity in many patients with sporadic high grade ovarian cancer and the development of a predictive genomic biomarker. 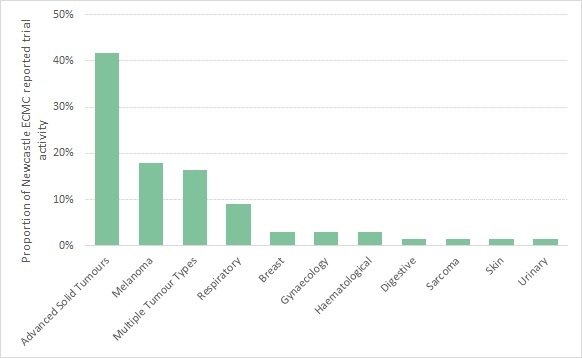 Tissue Banking: in-house HTA-compliant tumour bank, Northern Gynaecological cancer network tumour bank, other national banks for specific projects when required. ECMC funding provides infrastructure support for early phase and translational research. From the ECMC Newcastle portfolio, the following trials have been carried out.